Come visit us and tour our campus. AIA – The global leader in professional flight training. Advanced International Aviation Academy is the rated as one of the best flight training academies in the world. Our facilities and training programs are refined and advanced, to provide you with the best pilot training to become a professional airline pilot or a recreational /private pilot. Our fast-track Career Pilot training program has high completion and success rates. It also saves time and money to the students by completing the training courses at shorter time and costs. AIA Academy, the pilot training school of JetEXE Aviation is a 3 time consecutive winner of AOPA ” Flight Training Award” ,”Outstanding Flight School” & “Honor Roll Flight school” out of 742 competing flight schools. We have become “the favorite” training school for many leading airlines, to choose their pilots from. Yes, quality of training matters , specially when your job requires you to make quick, critical decisions and handle complex situations as a pilot. Your initial training is the most important because it is the foundation of your pilot skills, safety habits and knowledge. The airline industry forecasts a very high demand for pilots for the next 15 years. The industry needs approximately 700,000 pilots, so hiring and pilot salaries are soaring. Our training team is focused on providing exceptional quality of flight training, modern aircraft, quality maintenance,well defined optimized training syllabus and training environment. We do not settle for mediocre or average in any of these aspects, you should not either. Pilots need to be trained to be exceptional professionals, since they are in charge of many lives while flying an airplane. We constantly strive to improve on our own standards to be the best in the pilot training industry. 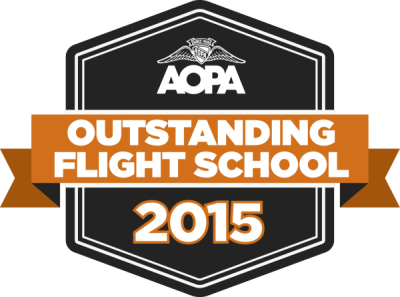 Our hard work has paid off and each year we have been judged by AOPA as one of the top “Honor Roll” Schools in the country. We don’t believe in hours of training , but insist on the quality of each minute of training. You can waste your time and money burning fuel and making circles in the sky with low quality schools or train with the best instructors who value your time and impart the best knowledge and skills to you. Choose well!! AIA Academy is a FAA certified CFR 141 Flight Training Academy. Our FAA approved training syllabus and curriculum for each course is meticulously and carefully designed and approved by FAA to provide the highest quality of flight training with exceptionally high standards of safety, equipment, airplanes, simulators and training environment. If your goal is to get the best syllabus-based professional training or become an airline / professional pilot , get trained at a FAA 141 Certified School, don’t train with the mom n pop school or freelance instructors. The quality of training you receive in FAA Part 141 certified school is significantly higher than a Part 61 (non-certified) school and your future employers know that very well. 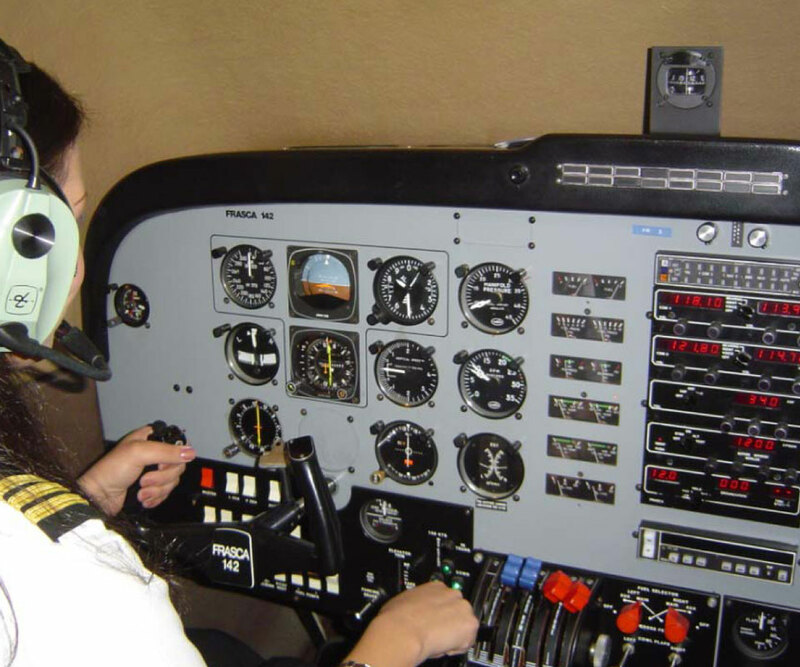 Before you choose your school and instructor, find out why the FAA has taken the effort and trouble to create FAA approved and certified training systems. As required by 141 Certified schools, we maintain a high first-time pass rate for students in their FAA certification tests. Our advanced training procedures and maintenance has proven to keep student safety at the highest level, with “zero” accident history. At AIA, discover the “EXCEPTIONAL PILOT” in you! Advanced International Aviation Academy’s team of highly experienced and carefully selected instructors, with extensive airline and Air Force instructor experience have created the most efficient and effective flight training programs to maximize the training resources and your training time. Within the FAA prescribed flight training & experience needed for each license, we impart the highest level of aviation knowledge and skills to you. This includes advanced level of aviation knowledge , advanced pilot skills including instrument pilot certification, multi engine ratings, mountain flying, aerobatics , real cross country flights across states, advanced simulator training , Multi Crew Coordination training and airline Crew Resource Management training . Do you want to be a mediocre pilot or exceptional pilot? We customize our training for each student to suit the students learning ability, learning pace, comfort level, cognitive and psycho-motor skills. AIA Academy’s high quality training fleet consists of late model aircraft including Cessna 172R, Twin Engine BE-76 Duchess with full Glass Cockpit, Piper Arrow-Turbo charged PA28-T201RT-Complex, Cessna 152, Cessna 150M, Remos GX Light Sport, Frasca 142 Simulator, ALSIM AL200 MCC Simulator & Several Instruments Trainers. Our Training Fleet is inspected & approved by FAA and maintained by our FAA certified maintenece crew in the high standards required of Certified CFR141 School. Our maintenece crew inspects, cleans and replenishes fuel and oils in each plane every morning before the first flight. Flight Safety is our highest priority. We are proud to be one of the few Flight Schools in USA that maintains a “Zero” Accident & Incident history. We maintain our aircraft according to the high standards of CFR 141 Schools at our FAA certified CFR145 commercial aircraft Repair-Station. We conduct detailed Annual Inspections, each 100 Hour inspections and additionally, each 50 Hour inspection of our 141 training fleet. We also have a mobile maintenece team for off-base maintenece and servicing .Our maintenece crew is ready and available 24/7 to provide you with service that you need. This keeps our planes in great condition and available for your training schedule. All instructors at AIA are Airline or Military trained flight instructors with FAA Instructor Certifications. We believe in quality of instruction over quantity. Your instructor is the most important element of your training quality & safety. Unlike most flights schools that use the low experienced, low salaried instructors who are working to build their own flight experience to go to the airline, our instructors are highly dedicated to your training, exceptionally qualified, experienced and have the highly sought after airline or military experience that ,would benefit your training experience, quality and career.They understand your specific training needs and can customize the process for you. 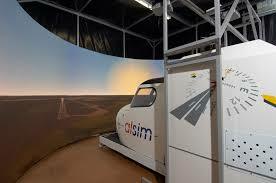 Our training programs include multiple types of simulators to enhance the training experience and learning. 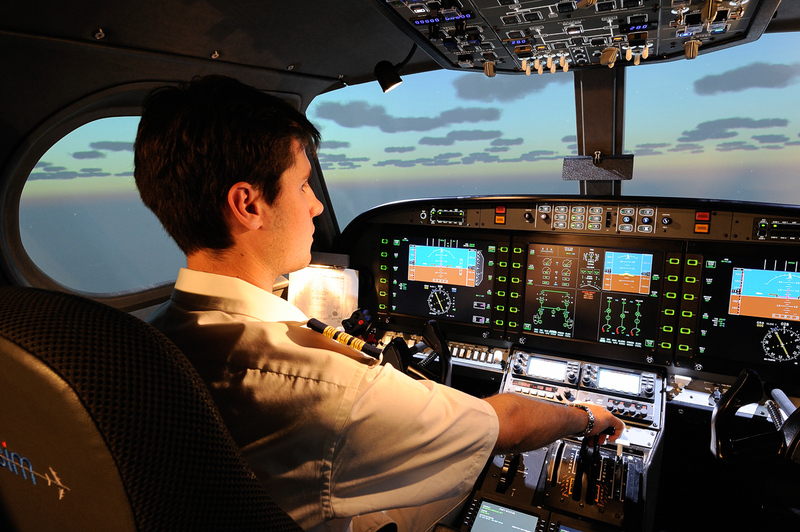 The use of simulators enable us to train students in advanced skills and airline procedures in a safe environment. Our simulators provide high accuracy simulation with full force feedback on the control systems, of over 25 Types of Airplanes including singles, Twins Turboprop & Jets. We Use the best of its kind simulators from FRASCA and ALSIM in which you can practice Instrument procedures, approaches and departures from any airport in North America or Europe. Most of all you, can Log more than 70 hours of your total flight training towards you licenses in the simulator, which will save you thousands of dollars. AIA Academy periodically conducts specialized training programs on weekends for preparing our students for FAA written test preparation. These are normally 2 to 3 weekends long and covers the entire syllabus for the tests. Students achieve high test scores due to the intense and immersed learning and test preparation method that we specialize. Call us to reserve your spot for the next course. Seats are very limited and is on first come basis. If you are a student from India, we provide both FAA & DGCA Pilot Training courses. Our DGCA approved curriculum with train you to achieve the FAA Pilot certifications and DGCA Pilot certifications simultaneously. Prior to your training ins USA, we will assist you in preparing for both DGCA and FAA tests with FAA certified Instructors. Our complete end to end services will assist with enrollment, ground training, license conversion etc. If you have been training at another Flight School and wish to transfer to AIA Academy, we will provide you credit for the hours of training and the necessary documents to transfer. Our admissions office and Flight department will work together to compile your required documents and make the transfer effortless and seamless. There are certain FAA regulations on how much of your training can be transferred depending on the school and you had trained at. Once you complete your Flight Instructor ratings at AIA, you may work as a Flight Instructor. Depending on your, abilities and aptitude, you may be selected to work as a flight instructor in our “elite” training team and will gain immense flight experience, training students at AIA Academy. We are highly selective about our flight instructors and if you make the cut, you are exceptional!! We give high quality training to our students and expect the same from you. Build flight time fast with our low cost time-building programs. Regain your pilot currency at low hourly cost programs that we offer. To build single engine time, you can fly our Cessna 150,152, 172 or Remos GX. For Multi-engine we provide BE-76 Beechcraft Duchess & PA34 Seneca. For complex aircraft the Piper Arrow PA-28. 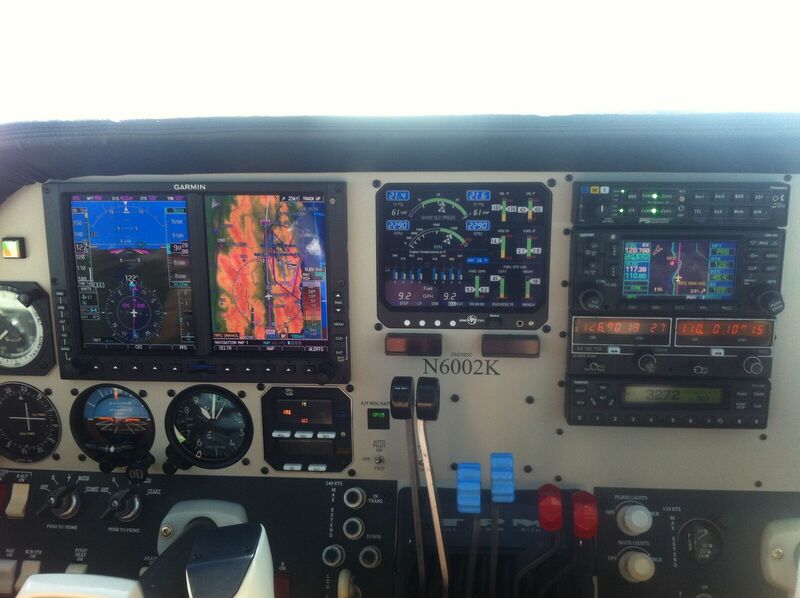 Our aircraft are equipped with GPS navigation and maintained at our FAA Certified Part 145 Repair Station. Advanced simulators for IFR currency. 95% completion rate, complete fast! For fast track course, you have to pass FAA written exams prior to enrollment. I started my flight training at a local, Part 61 school in Sarasota, Florida in Feb 2013. After one year of cancelled training schedules, bad airplanes, inexperienced instructors and horrible weather at the Florida Flight School, I had only about 32 Hrs of flight training and was terribly disappointed. I was searching for a better school to continue my training and heard great things about AIA Academy from a friend who got his training and licenses at AIAA. I called the Academy and inquired about their courses and admissions. The admission counselor "Rene" ( later became a great friend) was very informative and patient on the phone, answering all my questions and explained all about the training process and about AIAA. In a few hours, I received the course information package by email. AIA Admissions office, then took care of all my necessary documentation and I was informed about my course start date, the next week itself. I joined AIA Course in April 2014 and completed my Commercial pilot Certifications with Multi Engine rating & CFI on 16 June 2015. AIA Academy's facilities, instructors and airplanes are the best and I am so thankful and happy that I made the decision to move to California and train with AIAA. Thanks AIAA Team. What is the difference between a CFR 141 Certified School and CFR 61 non-certified School? Why train 141? What are the BIG mistakes students make when choosing a flight school? How do you choose? Most students make some big mistakes while searching for the best flight school for their training. Flight training is considerably expensive due to its inherent costs in operating airplanes. Students tend to compare the advertised training costs between schools and often choose the cheaper advertised fees/prices, not realizing its a “bait” pricing and the terms, conditions and fees/pricing may change after you start training. This is the biggest mistake. The typical first question by a prospective student to the flight school is “how much is your hourly rate for the Cessna 172/152? (the most commonly used training aircraft). Not realizing, the Cessna 172 and 152 have been manufactured since 1950’s. One school may have new airplanes which is more expensive and safe, but at higher hourly rates, another might have very old, cheap and unsafe planes, at lower hourly rates. The purchase cost difference between the old and the new plane is approximately 10 times and your training experience and safety also varies similarly. The next question typically this, “what is your hourly rate for flight instruction?” One school may have very low experienced, low paid, low time instructors, who are training you to build hours they need to be hired by an airline, whereas, the other school have highly experienced, well paid instructors who are dedicated purely to your learning. There is a BIG difference in quality of instruction you receive. More over, one school may not have a dedicated maintenance team with the necessary facilities and equipment and may be using ad-hock mechanics, questionable tools and parts, to cut costs, while the other may have a full fledged FAA Certified Commercial Repair station with the required facilities ,tools, genuine parts, insurances and FAA certified crew. Quality of planes & Safety matters. Why is Sacramento Executive airport ideal for Flight Training? Weather, Costs, Facilities better? Benefits? Sacramento, is the capital of California and is in the heart of the sunny, golden state. AIA Academy, chose to locate its training facilities in this great city at the downtown Executive Airport because of its ideal location for flight training weather, costs, training airports, living facilities, culture & great student life environment. Below are some of the important factors that certainly make Sacramento Executive Airport, the best place for flight training in USA. Great weather through out the year for Flight Training. We don’t have the humid hot weather of Florida or Texas, nor do we have hurricanes and storms which disrupts and delays your training. The Sacramento weather is moderate and pleasant, no freezing winter or burning summers. Sacramento executive Airport is 10 minutes to drive from a downtown Sacramento. Students can have a great city life easy access to the Airport and our training facility. Our airport has a fully operational control tower and instrument approaches, which makes it a great safe environment for training. There are over 10 airports and all the different types of air-spaces for training and practice within 30 minutes of flying time. How long will you take to complete the courses, tests & what is the Class schedule for the courses? Costs? AIA Academy offers both self-paced and Fast-Track pilot training courses. If you do it the self-paced course, your training schedules are decided by you. You may attend classes 1,2,3 4 or 5 days a week or even once a month. Its all according to your availability for training. Its very flexible and the completion time will depend on how often you attend the classes & fly. If you do the Fast Track courses, you would have classes and training 4 to 5 days a week, about 4 hours each day. You can then complete the Private pilot course in 30 days, Commercial Pilot course in 120 days, instrument pilot course in 30 days, Multi engine course in 30 days. So, from zero to commercial –multi-engine pilot course completion in a total of 210 training days. How do I get started with my Flight Training? Do I need to take any tests before starting? Starting your flight training and getting your pilots license is not as complicated as one may think. First, call or email the AIA Academy to schedule an admission counseling appointment. Then visit the school . The school will provide you with all the information that you would need to get started, in that meeting. If you are local, or in town, then take a “discovery flight” at the school, to understand the training better and feel how it is to fly the airplane. If you are a self-paced course student, then create a schedule with your training counselor and start your training. We would need at least 3 days’ notice to start your self-paced one on one training. 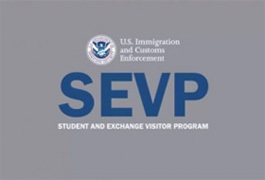 For the Fast Track courses are typically chosen by students who wish to train as a commercial career pilot or by international students who wish to finish their course at the shortest time and lowest cost… local students can meet with the admission counselor and start the course with 5 to 10 days’ notice. AIA Student gets FAA pilot Certification in 29 Days, zero experience to finish.